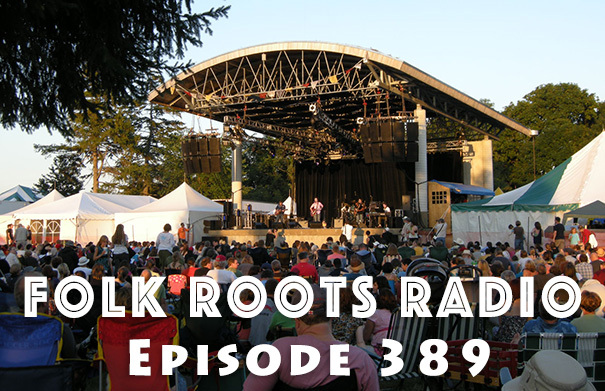 We’re giving over the whole of Episode 391 of Folk Roots Radio to some great artist interviews we recorded at the 2018 Hillside Festival. 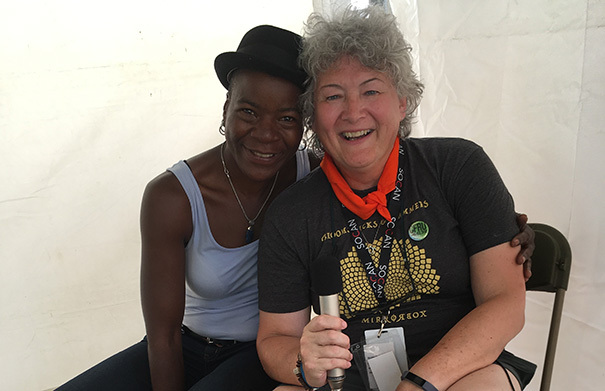 We had an absolutely fabulous time at the festival again this year – it’s hard to put into words how wonderful it is. Set in the beautiful setting of Guelph Lake, just outside Guelph, in Southern Ontario, If you’ve not experienced it yet, you definitely should try and make it there at least once. 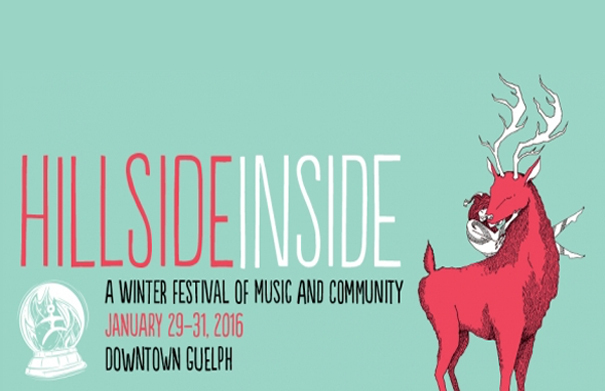 Hillside has an incredible vibe and musically there really is something for everyone. With all the craziness going on in the world just now, it feels like a respite from all the insanity. 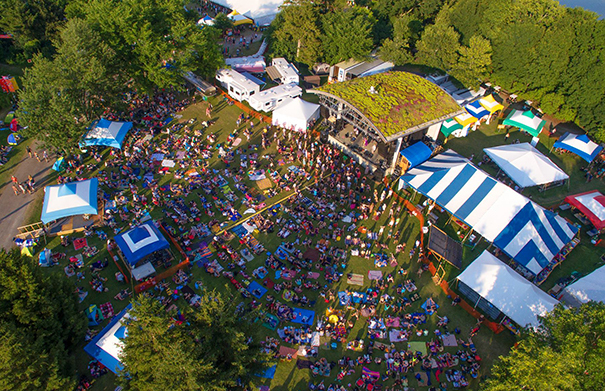 Authentic, inclusive, respectful and environmentally sustainable… Hillside you’re just the best! 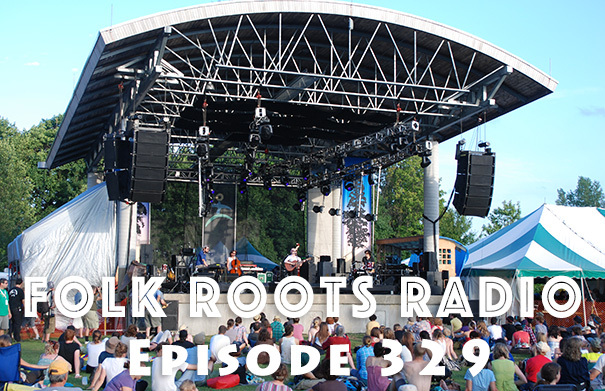 Stay tuned as we chat with Frank Evans from The Slocan Ramblers, Martin Harley, the Fortunate Ones and Cécile Doo-Kingué. 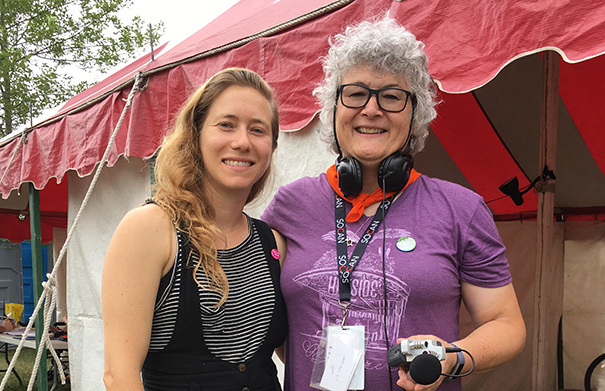 We also squeeze in music from Hillside 2018 favourites, Rev. Sekou and female Latino vocal group LADAMA. Newfoundland’s Fortunate Ones feature the fine musicianship and close harmonies of Catherine Allan and Andrew James O’Brien. 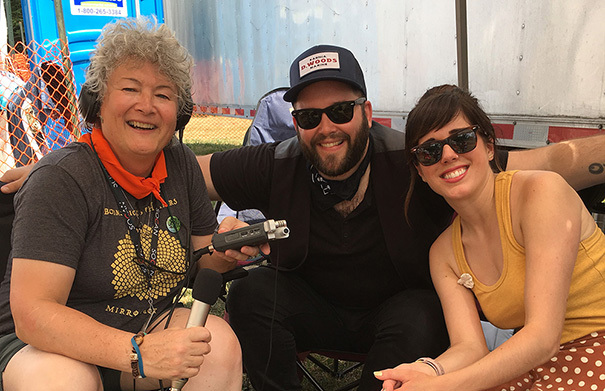 Known for their fabulous live performances, their critically acclaimed 2015 album “The Bliss” earned them a Juno nomination, and took home the 2015 Canadian Folk Music Award for Vocal Group of the Year. They describe their new album “Hold Fast” (2018) as a study in resilience and partnership in the face of adversity, and features songwriting collaborations with Alan Doyle (Great Big Sea), Tim Baker (Hey Rosetta! ), and Meg Warren (Repartee) alongside in studio support from Jim Bryson, Good Lovelies, Alexa Dirks (Begonia) and Kinley Dowling (Hey Rosetta!). The new album was recorded in Lake Echo, Nova Scotia with Daniel Ledwell. 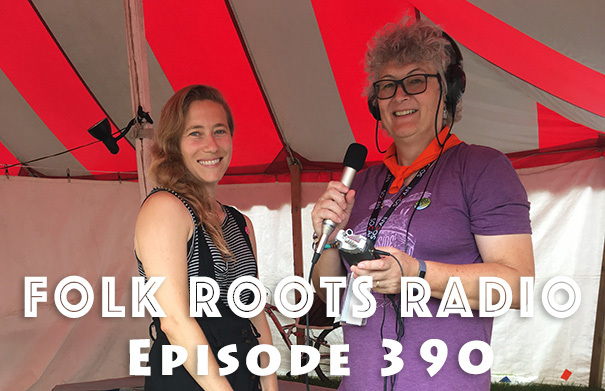 Catherine and Andrew joined Jan Hall from Folk Roots Radio at the 2018 Hillside Festival to chat about their music, and the new album. Check out the Fortunate Ones online at fortunateones.ca. Music: Fortunate Ones, “Hold Fast” from “Hold Fast” (2018, Old Farm Pony Records). British acoustic roots and blues guitarist Martin Harley, who plays a 100 year old Weissenborn Hawaiian acoustic lap guitar, released one of our favourite albums of 2017, “Static In The Wires”. Static in the Wires was his second album recorded with Nashville based stand-up bassist Daniel Kimbro who also joined Martin on the fabulous “Live From Southern Ground” (from 2015). 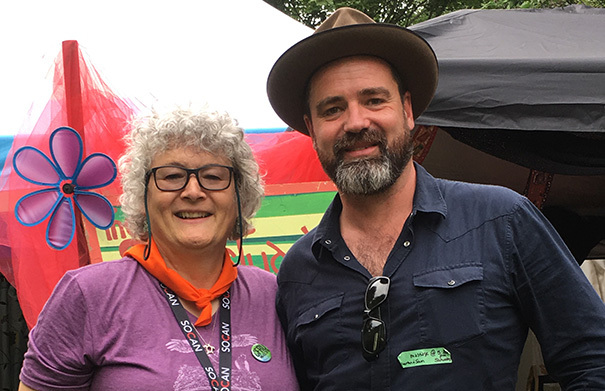 Martin Harley sat down with Jan Hall from Folk Roots Radio at the 2018 Hillside Festival to chat about his music. Check out Martin Harley online at martinharley.com. Music: Martin Harley “Gold” from “Static In The Wires” (2017, Del Mundo Records). 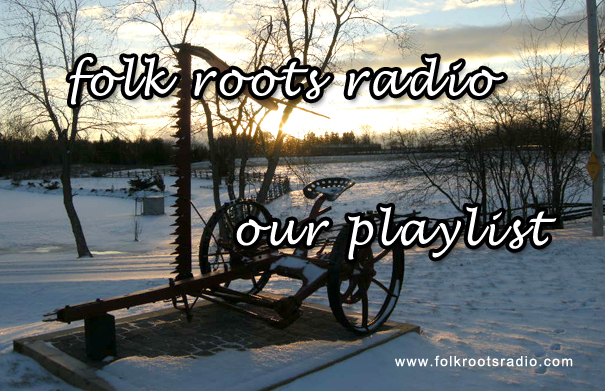 Toronto’s Slocan Ramblers are one of Canada’s finest bluegrass bands. 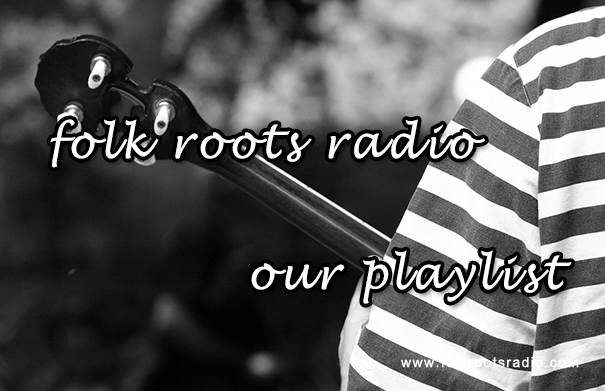 Rooted in the tradition, they’re as comfortable with their own songs as they are with the bluegrass canon. They’ve just released a great new album “Queen City Jubilee”. The Slocan Ramblers are Frank Evans on banjo, Adrian Gross on mandolin, Darryl Poulsen on acoustic guitar and Alastair Whitehead on bass. 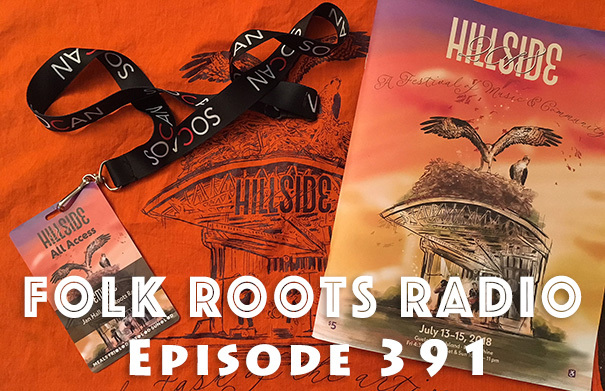 Frank Evans joined Folk Roots Radio while at the 2018 Hillside Festival to chat about the band, and their new album. 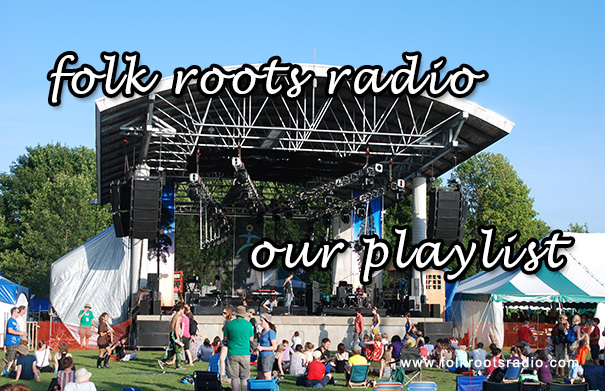 Check out The Slocan Ramblers online at slocanramblers.com. Music: The Slocan Ramblers, “Mississippi Heavy Water Blues” from “Queen City Jubilee” (2018, Slomusic). 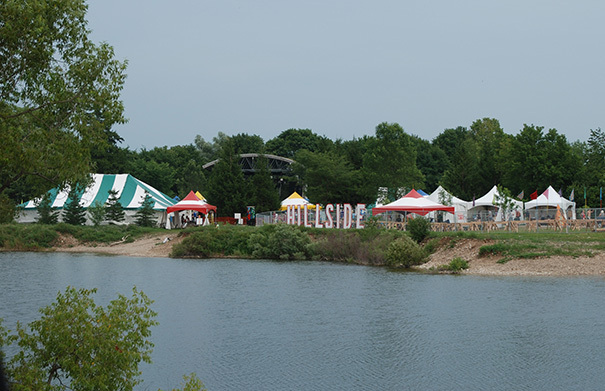 The 33rd Hillside Festival takes place on the island in beautiful Guelph Lake Conservation Area, just north of Guelph, on the weekend of July 22 to 24. 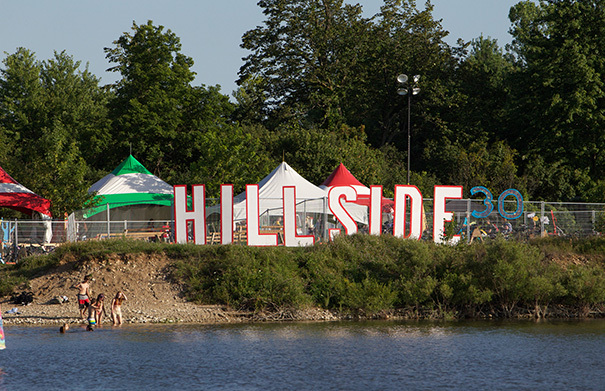 Consistently voted one of the best summer festivals in Canada, Hillside has developed a strong reputation for not just serving up a wonderful variety of music, but also producing festival highlights that are often not the artists you came to the festival to see. 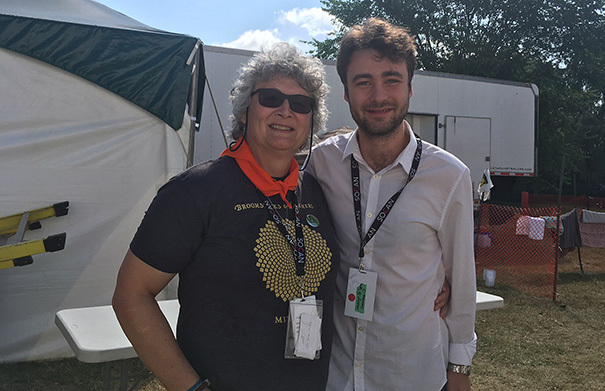 To learn more about this year’s festival we caught up with Artistic Director Sam Baijal. 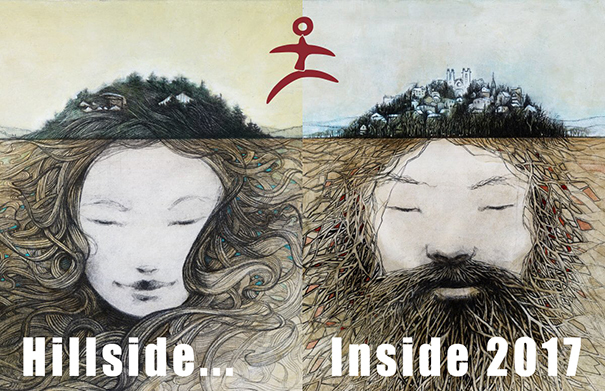 For more information about Hillside and to pick up tickets visit hillsidefestival.ca. Music: Buffy Sainte-Marie “It’s My Way” from “Power In The Blood” (2015, True North Records), Rose Cousins “Let The Light Come In” (single) (2015, Old Farm Pony Records/Makeout Music). 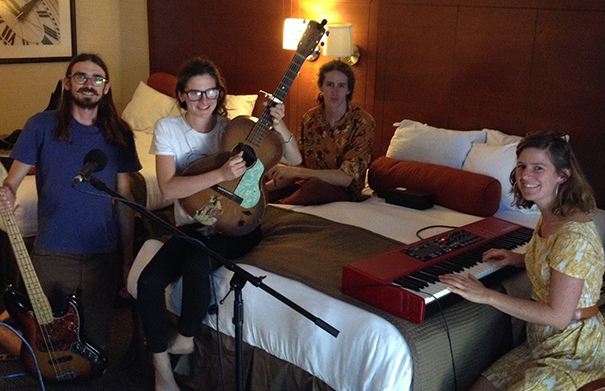 Perch Creek are an Australian five-piece multi-instrumental, harmony-driven roots group featuring four siblings who put on an amazing live show and are quite clearly lots of fun in their off-stage life, too. They were on tour in Canada this summer while promoting their new single “Mama Sings”. The band features Christi Hodgkins – harmonica, trombone, saw, vocals, Lear Hodgkins – drums, washboard, vocals, Eileen Hodgkins – guitar, banjo-uke, tap dancing, vocals, Camilla Hodgkins – keys, banjo, vocals and the only non-Hodgkins (or perhaps, now an honorary Hodgkins) James Chandler on double bass, electric bass, vocals. Perch Creek got together as the Perch Creek Family Jugband in 2006, recording two full-length albums “Tall Tales” (2011) and “Jumping on the Highwire” (2014), which was nominated for Best Independent Country Album for the Carlton Dry Independent Music Awards). They’ve since moved to Melbourne and will be working on a new album in the near future. Perch Creek have toured extensively across Australia, Europe, the UK and now Canada and deliver unforgettable, high-energy live performances. 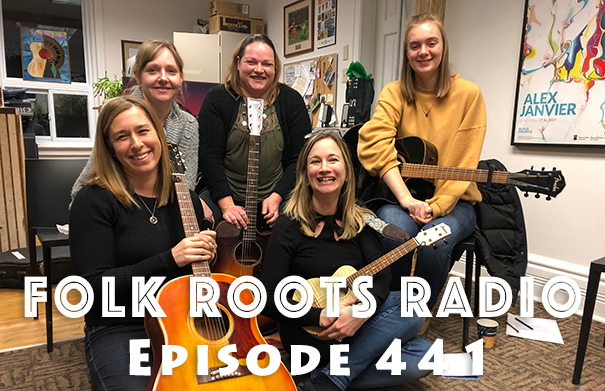 Christi, Eileen, Camilla and James from the band joined us for a chat and a live song just prior to this year’s Hillside Festival. For more information, visit perchcreek.com. Music: Perch Creek “Mama Sings” (Single) (2015, MGM Distribution), Perch Creek “Where You Been” from “Jumping On The High Wire” (2014, Self) and “Something In The Valley” (Live).